WHEN DECIDING how to bill an initial patient encounter, many physicians get confused. Should they use one of the initial hospital care codes (99221-99223) or an initial consultation code (99251-99255)? 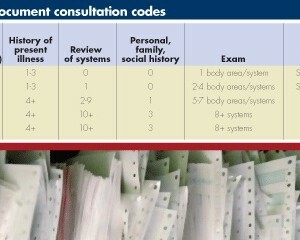 While many doctors think these two sets of codes are interchangeable, CPT guidelines offer a very different opinion. It’s important to understand which services are consultations. And when documenting consultations, you need to not only cross your t’s and dot your i’s, but count your “r’s” as well. Those “r’s” stand for request, rendering and replying. Let’s take a look. You are providing a consultation if your opinion or advice has been sought by another provider regarding the evaluation and management of a specific problem. The provider initiating the consult must be individually named and can’t be listed as a department or team division. Documenting “internal medicine” or “blue team” when billing a consult will not suffice. A consultation can’t be initiated by a patient or family member. (Consults can, however, be initiated by a therapist, social worker, lawyer or insurance company.) If a social worker or therapist asks for your clinical opinion, bill that encounter using one of the initial hospital care codes (99221-99223). If another physician has already performed a history and physical for the admission, use a subsequent care code (99231-99233). In hospitals, doctors can make a request for a consultation via a note in the patient’s chart. But keep in mind that coders rarely have the opportunity to see the entire chart when billing for a physician’s service. That means that you have to include the name of the provider who requested the consult in a dictated or templated note. For instance, you should use something to the effect that, “I was requested by Dr. George Smith to consult patient for hypertension.” If your hospital has an electronic medical record with checklist templates, check the box for consultation and list the requesting doctor’s name. Keep in mind that neither “referred” nor “referral” indicates a request. Stating that a patient was “referred” means that care was transferred from a referring physician, not that a consultation request was made. After you (as the consultant) have seen the patient “or “rendered” care “you need to “reply” back to the requesting physician. Again, that reply can be a note left in the patient’s chart. 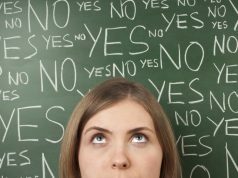 Say the patient develops a new condition and is in need of a “re-consult.” In that case, the process of the three “r’s” starts over again with the request for a new opinion. In years past, CPT guidelines had provisions for both follow-up and confirmatory consultations, but these have since been deleted. How do you bill a consult if a procedure is rendered on the same date? In this situation, you would typically modify the consultation service code, attaching the -25 modifier to indicate a distinct and separate service If, however, the patient had major surgery “which comes with a 90-day global follow-up period “on the same date, attach a -57 modifier to your consultation code. 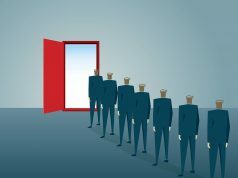 Here’s another situation that hospitalists run into: An ED physician calls for a “consultation” to decide if a patient should be admitted. According to CPT guidelines, that gives you a request and the requesting physician’s name. But if you do admit the patient, you would bill that encounter not with a consultation code, but with an initial hospital care code. How do you bill if the patient is well enough to go home from the ED? Because the patient wasn’t admitted, it wouldn’t be appropriate to use an inpatient code. Instead, bill for the encounter using one of the outpatient consultation codes (99241-99245). All of the same rules governing the three “r’s” apply. Subsequent visits are reimbursed at much lower rates than consults. The same holds true for outpatient consultation codes. 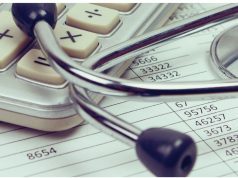 Any documentation oversight could lead to a consult being billed as a new outpatient visit, which carries a much lower work value and reimbursement. Tamra McLain is an independent coding consultant in Southern California. E-mail her your documentation and coding questions at helpucode@yahoo.com, or send a fax to 888-202-1601. 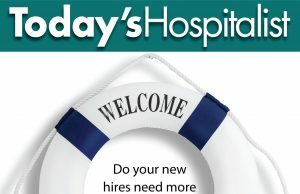 We’ll answer your questions in a future issue of Today’s Hospitalist.